It’s beginning to feel like summer in Ireland, which means a moderate amount of sunshine bookended with torrential downpour (one of our better summers in recent memory). 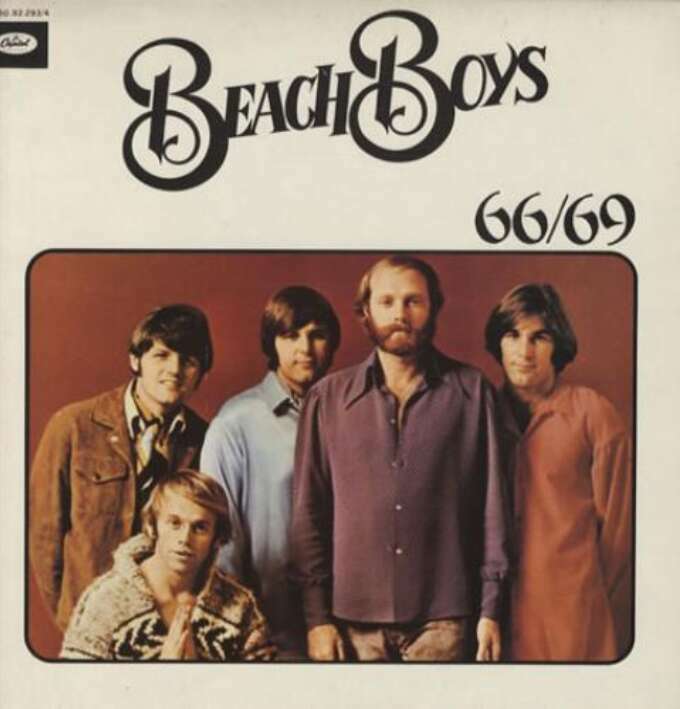 Summer has traditionally been a bit of minefield for men’s fashion as the otherwise reasonably well-dressed throw off the shackles of business casual and opt instead for incongruous graphic tees and below-the-knee cargo shorts, possibly the least flattering outfit devised by the minds of men. It seems that the general rules of how to dress go out the window when its 30 degrees outside. 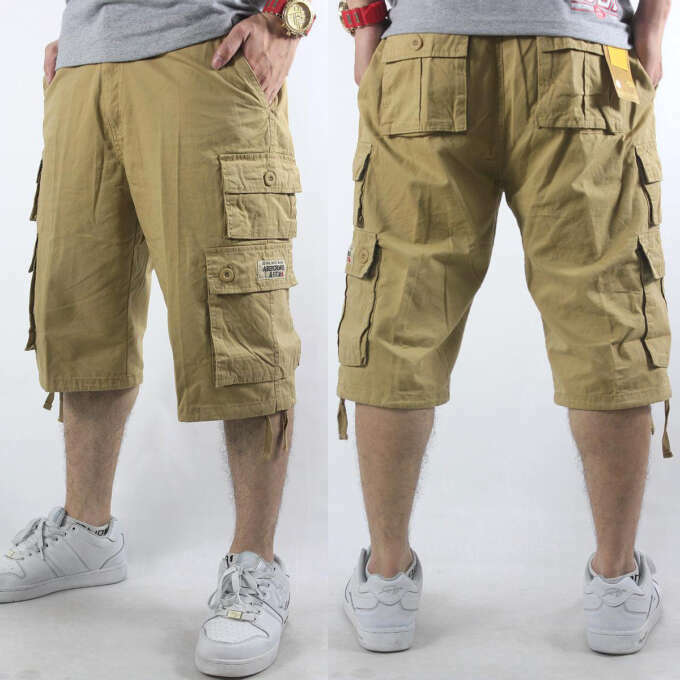 People seek comfort, ease and they want their clothing to reflect their languorous state of mind—thus on goes the cargo shorts. There is another way. We’ve put together some of our favorite summer items with an eye on ease without forgoing elegance. 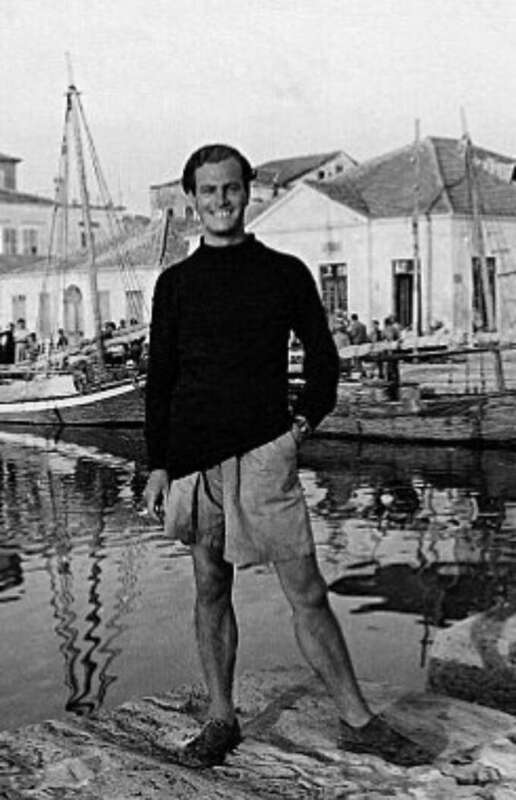 Beach Boys French issue compilation & legendary travel writer/adventurer Patrick Leigh-Fermor. The Rolling Stones on vacation 1966. 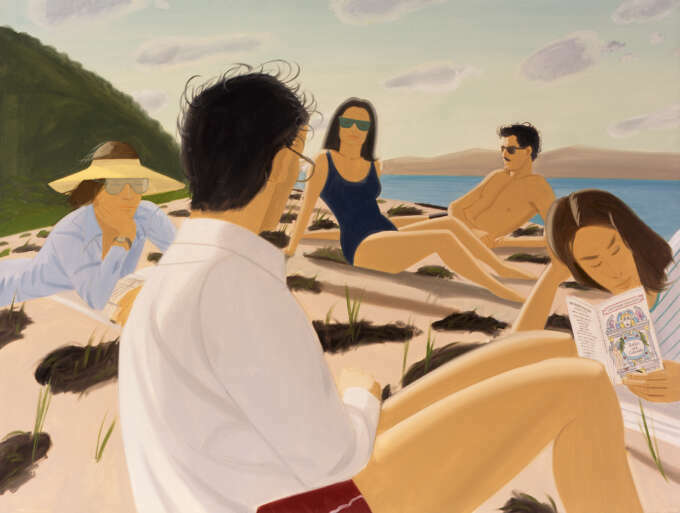 A still from Eric Rohmer's A Summer Tale 1996. 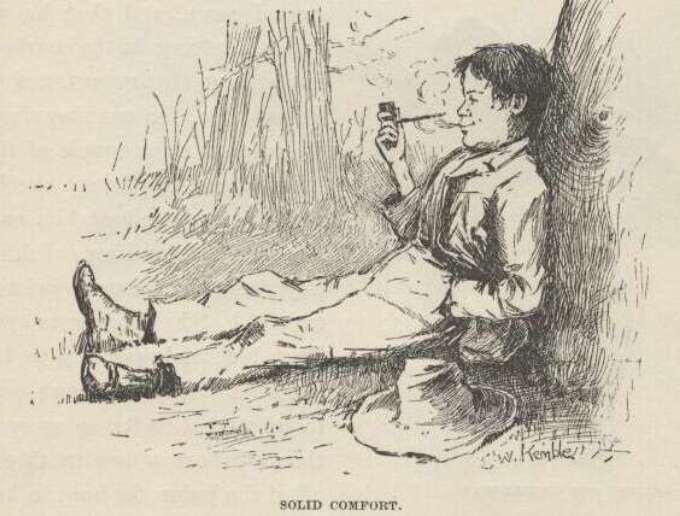 Illustration from the first edition of Huckleberry Finn. 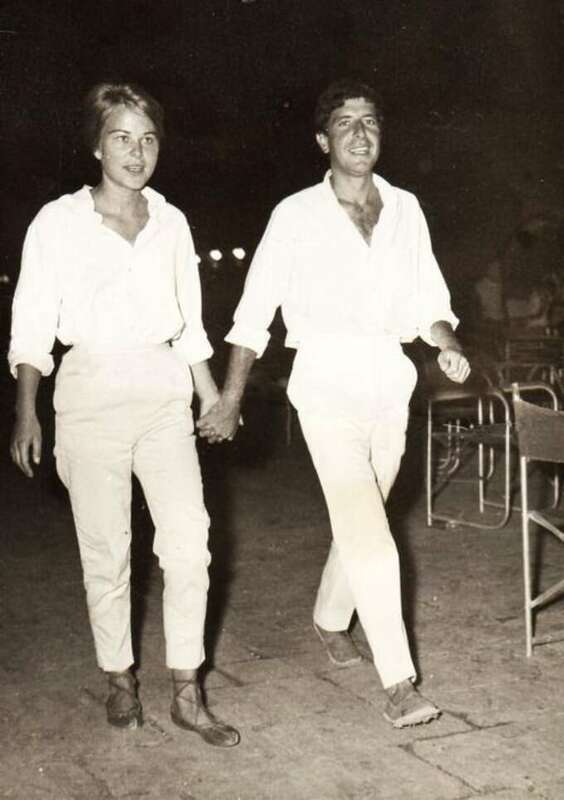 Singer Leonard Cohen on the Greek island of Hydra circa early 1960s. 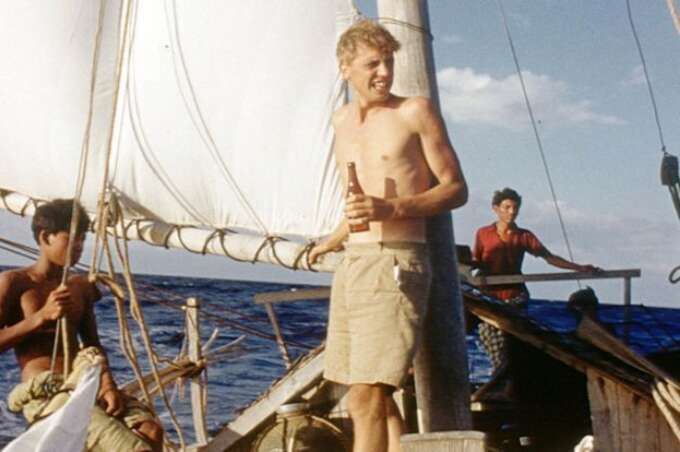 A young David Attenborough in the 1950s. 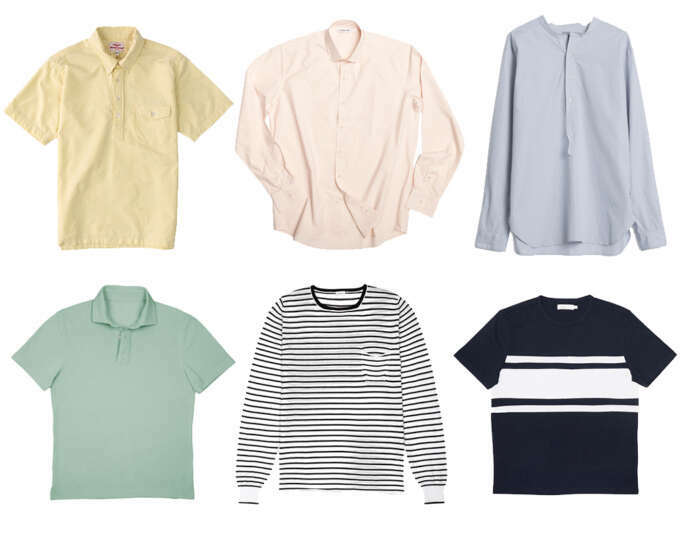 Clockwise from top left: Battenwear short sleeved shirt, Dana Lee shirt, Margaret Howell collarless shirt, Kent Wang polo, O Ballou striped shirt, Several nautical tee shirt. 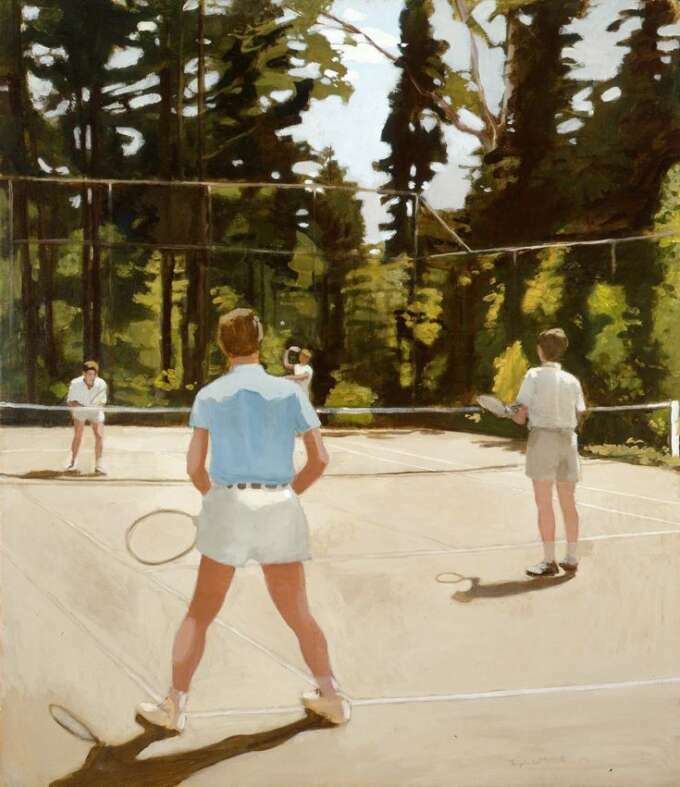 One of the most advantageous aspects of the summer weather is that the strong direct sunlight really suits washed out colours and make the season an opportunity to enjoy faded blues pinks and yellows that otherwise get lost in dull light. When opting for jersey I like the ever flattering simplicity of nautical stripes, coloured or in simple navy. They suit the mood and tones of summer implicitly. Left: Sid Mashburn garment-dyed Levi's jeans Top Right: Birdwell Beach Britches Bottom Right: Carrier Company "grandad" shorts. One of the best selections of summer trousers has to be the range of custom garment dyed trousers created by the southern menswear purveyors Sid Mashburn. They’re a nice mix between smart and casual and likely to look as good with a tee as a button down shirt. 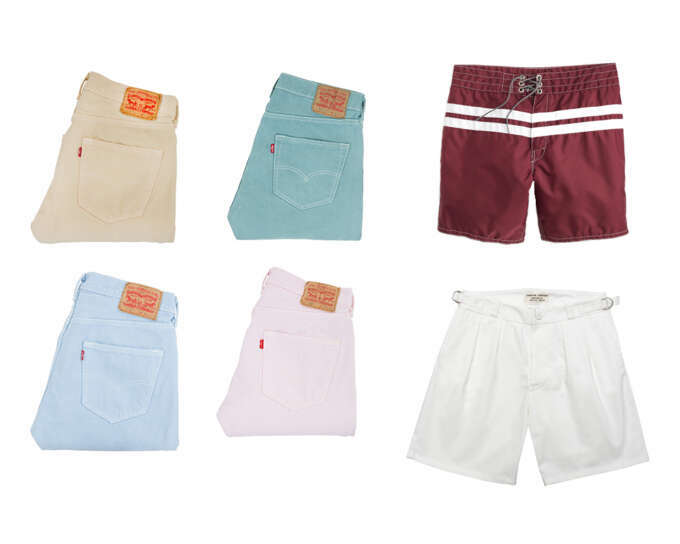 For shorts its hard to go wrong with the classic Birdwell beach britches with their very 60s styling recalling the golden age of surf. 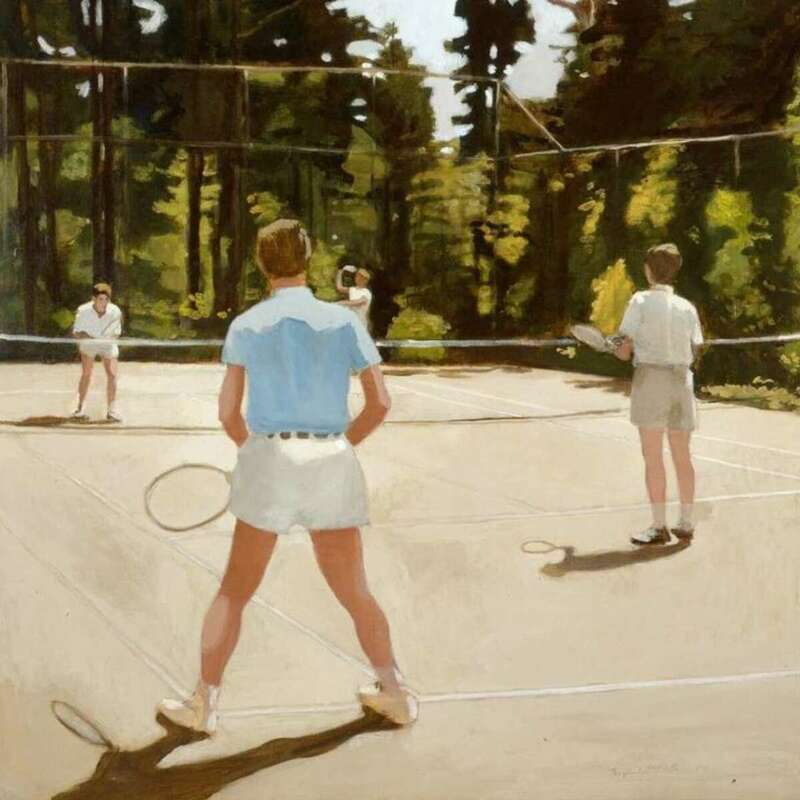 For something less beach-y we've opted for UK based Carrier Companies take on classic British sports shorts, which are wide legged, smart and easy to wear. With layering it’s hard to go wrong with a casual work jacket, and this work/coach jacket hybrid from Italians Pomandère in a linen blend is our favorite for the the season. Fairly young brand Adsum created a lovely minimal anorak that would suit any wild showers the season can bring. 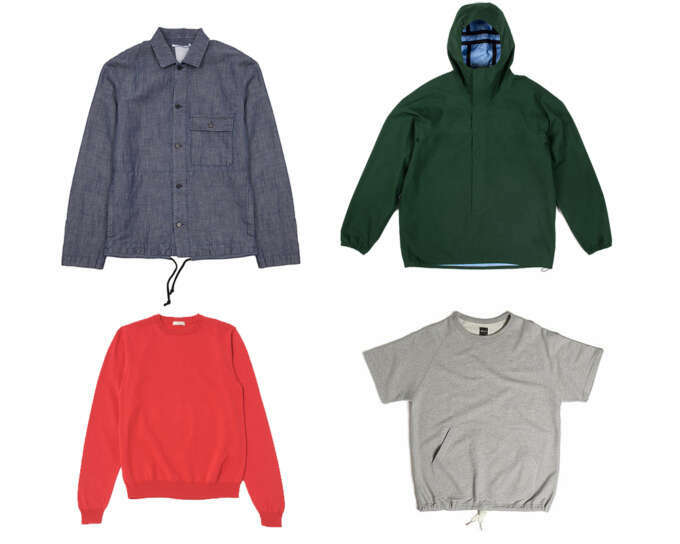 We also love the detail heavy rendition of the short sleeve sweat from Albam and Japanese brand Niuhans’ natural dye cotton sweater in a striking red. 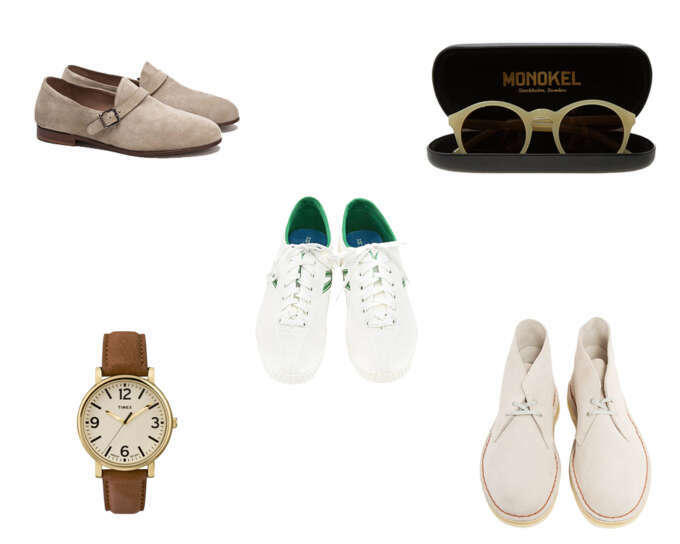 Clockwise from top left: Sahel slipper from Solvière, Monokel sunglasses, Clarks Desert boots, Timex classic watch, Tretorn tennis shoes. I think my favourite choice of summer footwear for this season has come via these Tretorn sneakers, which seem like a hip alternative to the ubiquitous Stan Smith tennis shoes. Alongside we recommend Solovère's very cool monk slippers, or for something a little more wallet friendly the classic clarks desert boots are very hard to beat (and the more beat up the better). For other accessories we love the timex classics, easy to wear, affordable and chic, whats not to like? Finally, these Monokel sunglasses with their opaque beige frame stand out against the usual '60s indebted styles.